Now that it’s cold many dream of the arrival of spring and good weather. But deep down, we need to admit that the winter has its charm and if it wasn’t for the cold season, we wouldn’t be able to enjoy winter sports or sleeping in amazing places like igloo-hotels. 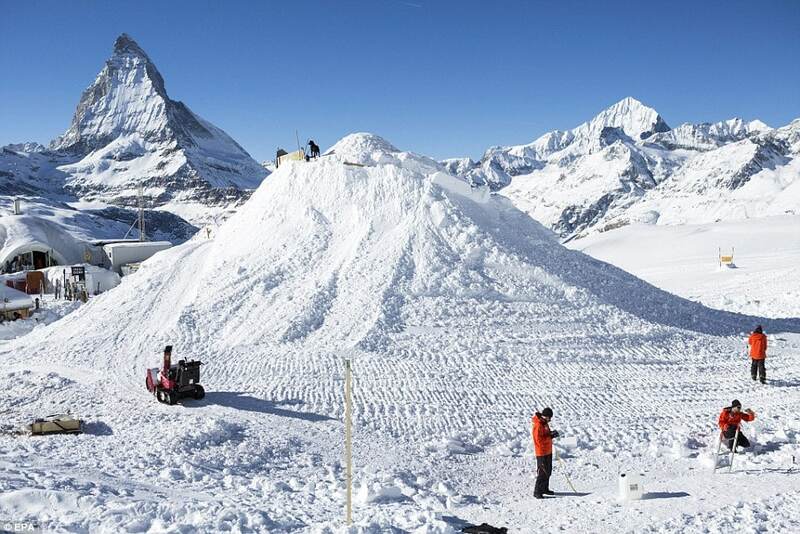 Last month Switzerland’s largest igloo ever built in the world was inaugurated. It is located near the station Zermatt, facing the mythical Matterhorn. It is made of 1,387 snow blocks, each of which weighs about 40 kilos. Although this giant igloo has not been built to house guests, many scattered across Sweden and Finland offer that service. 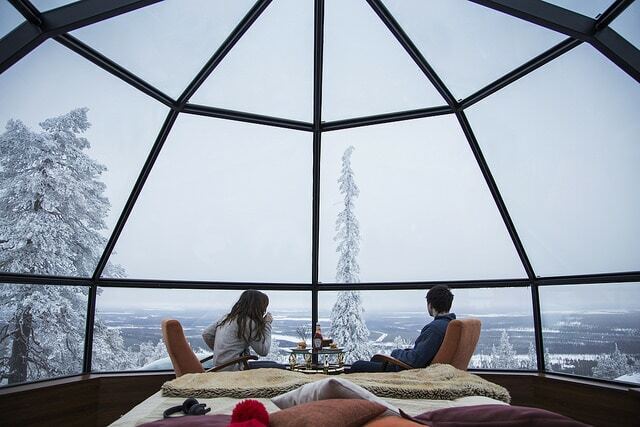 Today we’re taking a look at the most spectacular igloos that exist in Europe. The Swedish Ice-Hotel is entirely built with snow and ice from the nearby Torne river to give greater consistency to the structure. 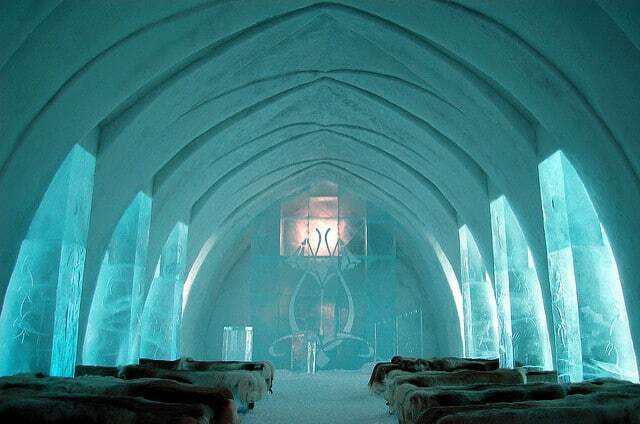 The Ice-Hotel is 5,500 square meters big. 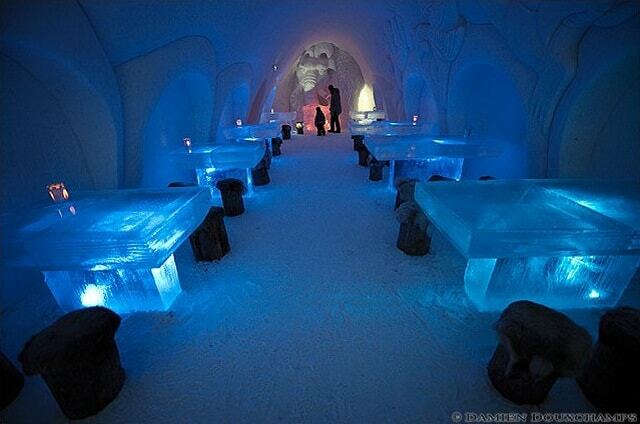 Although the rooms are made of ice, they are decorated, airy, elegant and full of detailed spaces. Same as with the Ice-Hotel in Sweden, the castle of Kemi in Finland takes advantage of the heavy snow in the region and the frozen water of the Baltic coast to make special bricks that shape the impressive building. The first castle was built in 1996 and was so successful that it has since risen every year in order to attract more curious tourists. It is an impressive piece of architecture designed by local artists whose shape varies each year and is illuminated with colored lights to provoke different sensations. Ski enthusiasts will find Golden Crown Hotel the ideal place to relax after a long day in the open air. Located at the top of the hill Utsuvaara, in Finnish Lapland, these comfortable igloos will make your stay an unforgettable experience. They are not made of ice but the large windows allow for stargazing. Photos: Nick Faiello, bjaglin, Damien, Sakari.